Japan Acts: Who Led You To Christ? I look for little things to confirm God's will. Like mile markers along the way, they serve to remind us of God's provision. One such event was our Japanese pastor Nishioka coincidentally meeting the American man who introduced him to Christ over 10 years ago while he was in college. 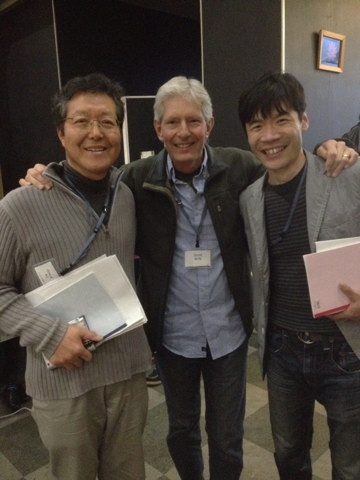 We came together to the CPI church planting conference in Hakone, Japan. David Mills led a small Bible study in San Francisco for foreign students, of which Nishioka Sensei was one. Now David has come to Japan as a church planter himself and lives in Yokohama. Join with us in praying for both of their faithful continued service of our LORD.